Do you have a space crying out for a light fitting, but can’t decide what to put there? You’ve exhausted the shops, searched extensively online, but can’t find the right piece. The answer is to commission your own, bespoke, designer light. Totally unique and absolutely ‘You’! A bespoke light can be traditional, based upon a classic lighting design or more bizarre, something which has only ever existed in your head or which is based upon a hobby, interest or theme. Before you speak to prospective designers, there are some key factors to consider. Firstly, the space; where is the light to be hung? (In a stairwell, entrance hall, over a table or in a restaurant.) How high is the ceiling? What are the room dimensions? Is the setting domestic or commercial? Secondly, the level of light required; is the lighting design being commissioned as functional lighting or a statement piece? And thirdly, the style of light. This practical information will affect the design. An industrial style, large metal pendant light may look fantastic, but it will only direct light downwards, so is not suitable for providing an ambient light. Armed with this information plus your own ideas and inspiration, give a lighting designer a call to discuss your requirements. They should be able to offer practical advice, design inspiration and enthusiasm for your project. 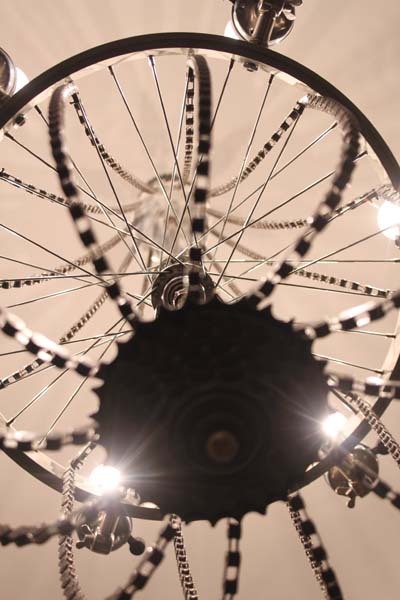 When a local business owner phoned us to discuss lighting for the shop and café attached to his bike hire centre he loved our suggestion to adapt the design of a traditional waterfall and bag crystal chandelier using a bicycle wheel, cogs, headlamps and bike chains. The pendant lights over his café counter are made from bike horns; the results look fantastic and are a topic of conversation over coffee in the café. Another client needed lighting for a long, impressive hallway in a Swiss property but could not find eight matching antique crystal chandeliers. We were able to make them for her, following a rather more traditional design. 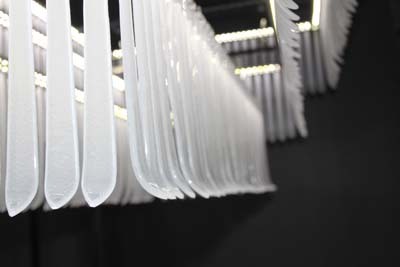 My personal favourite lighting design was recently commissioned for a ski lodge in Switzerland. 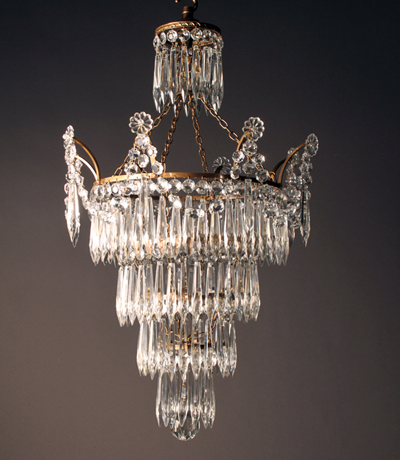 It is a three tiered rectangular chandelier to be hung over a table. All fairly standard until you see that every glass dropper is shaped like a ski and the rough frosted glass gives the impression of ice on the skis. It looks quite magical when lit. Bespoke design does not have to cost a fortune; some simple and inexpensive examples include bowler hat pendant lights, converted riding boot table lamps and gramophone trumpet lights. What you do need is the vision to imagine the finished light and a desire for something exclusive. You will normally have to part with money upfront to commission a bespoke design, but, if you like the idea of something truly unique and creative, it is an exciting journey and, fortunately, the end results always seem to elicit delight from the new owners, who have a totally unique piece of designer lighting in their home. Whether traditional or avant garde lighting design is fun, exciting and rewarding. This article was written by Projectbook member Karen Wallis-Smith, who owns Fritz Fryer Antique Lighting. Fritz Fryer offers an extensive lighting design and consultancy service and specialise in the high quality restoration of period fittings. They also work with private and commercial clients to create sympathetic lighting solutions for period properties and their on-site workshop repair all fittings, by hand, to the highest possible standard.